Asymmetrical submarine warfare in the Cold War, designed by an actual submarine commander. It's time to hunt and be hunted - they come unseen. This board game lets players command either NATO submarines or the Soviet destroyers chasing them. Drop commando teams at the designated attack points while maintaining your battery levels, or hunt the hidden threats with sonar and depth charges while maintaining your fuel reserves and defending your resupply ships. Every moment drips with tension in this cat and mouse game with tactical, tactile gameplay that draws deeply from the well of realism. 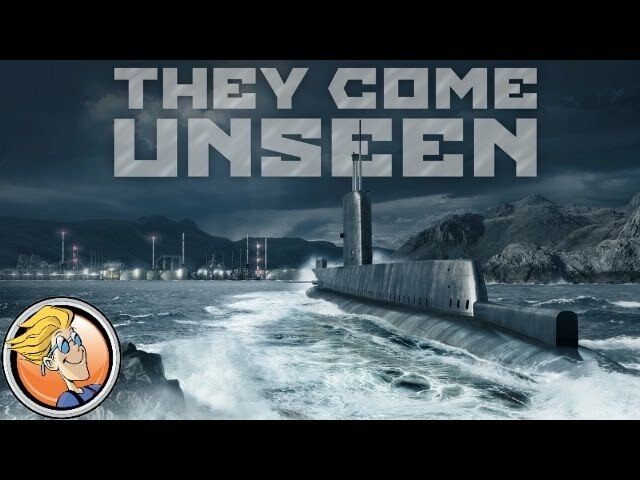 Buy They Come Unseen for one of the most unique gaming experiences ever made.